As we talk about all this in Portelli’s office that is dominated by books and two large computer monitors, it is fair to say that the work involved in his early years was quite different than what it is today. A lot of the work he had to do back then is now redundant with the bulk of the heavy lifting being done by computers. One aspect, however, has not changed: the spark of thought that leads the creator down one path rather than another. This includes, among other things, the actual physical size of a book with thicker books offering different possibilities than thinner ones. Crucially, for Portelli there aren’t conventions that he is not willing to break. 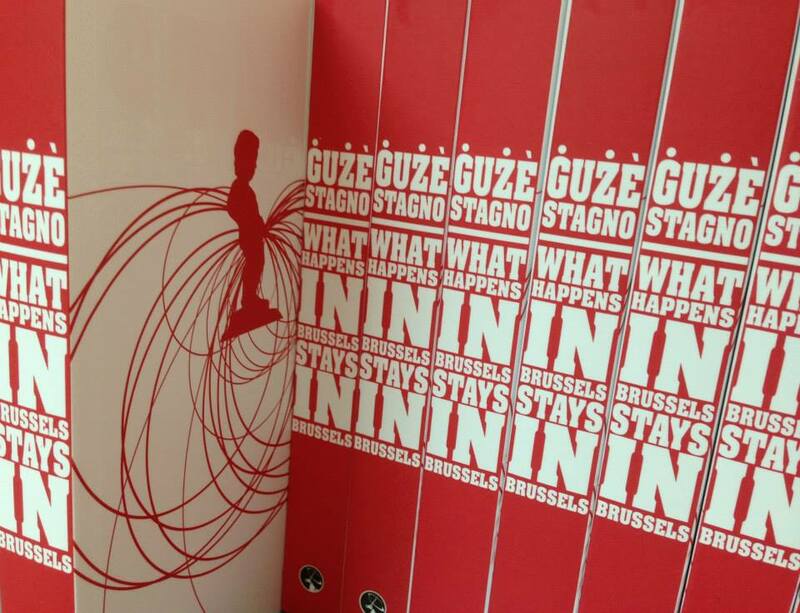 The result is one of Portelli’s more iconic book cover designs which plays with the colours of the national flag as well as that iconic Brussels landmark, the Manneken Pis. In among all that imagery is an allusion to the author’s trademark piss-taking of Maltese society so that the cover itself is not only beautiful, it is also intelligent. Portelli himself is too modest to say so but some of his covers stand out not only among books published locally but those in the international marketplace. Books like Vandalism (by Lizzie Eldridge) and Grasshopper (by Aleks Farrugia) are, quite simply, wonderful and tempt you to pick them up. He outdid himself, however, with the cover design of ‘Awguri, Giovanni Bonello!’ a collection of short stories based on characters uncovered by research carried out by the historian and former judge to whom this book is dedicated. Indeed for a limited edition of the book the cover is actually a box. Yet even the general print run features a glorious cover which plays with different shades of gold and a die-cut title. Perhaps it is because of Portelli’s early work experience or because of his intrinsic curiosity but he doesn’t shy from doing more in a project than simply designing it. Indeed, he seems to relish the opportunity to really connect with the end result. 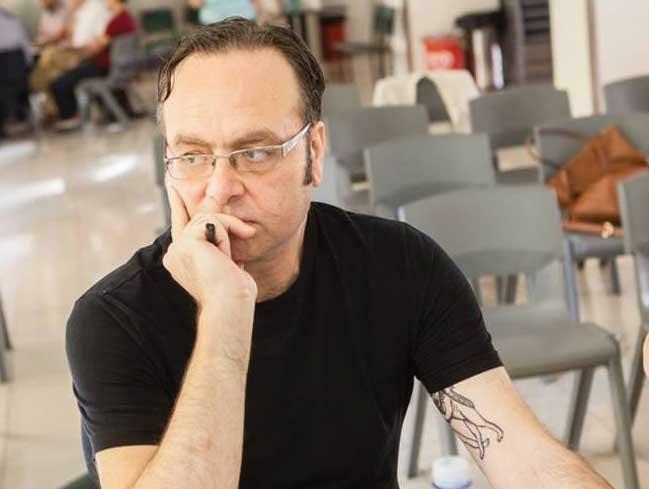 “When I was designing Clare Azzopardi's Il-Linja Hadra, I had come up with the idea of a green ribbon running through the book such that in allowed you to tie the two ends up and close the book,” he says. "Well, quite a laborious task, but the final result was extremely rewarding for all of us who had to thread the ribbon through each book by hand." “It was the same with Giovanni Bonello’s book where we folded the boxes ourselves and put them in.” There is an unmistakable feeling of satisfaction in his voice as he recounts those experiences. Portelli is more than just a book designer, however. In the early eighties he formed part of Malta’s small but vibrant punk scene in what was for him an early attempt at self-expression. Eventually that desire to interact at an intellectual level with his audience matured as he began to move into art and, in particular, art installations. 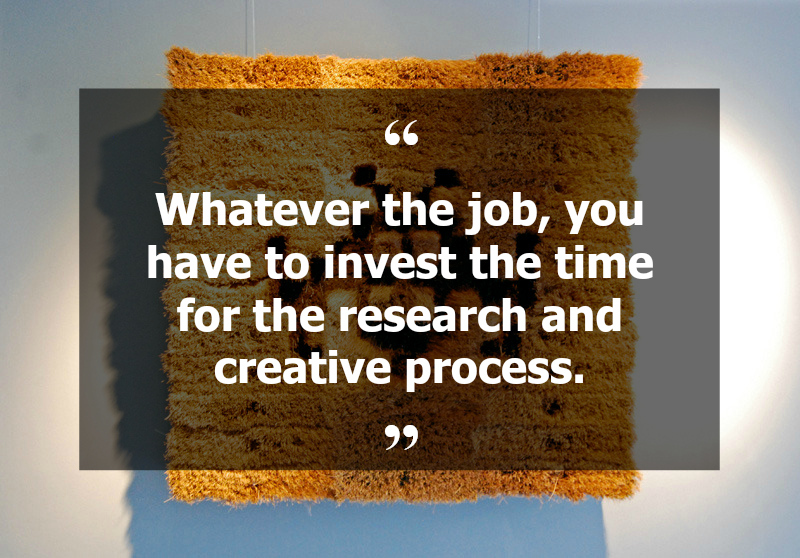 Indeed, he was one of the founding members of START (a Maltese contemporary art group) and ISTRA (a contemporary art and research foundation). 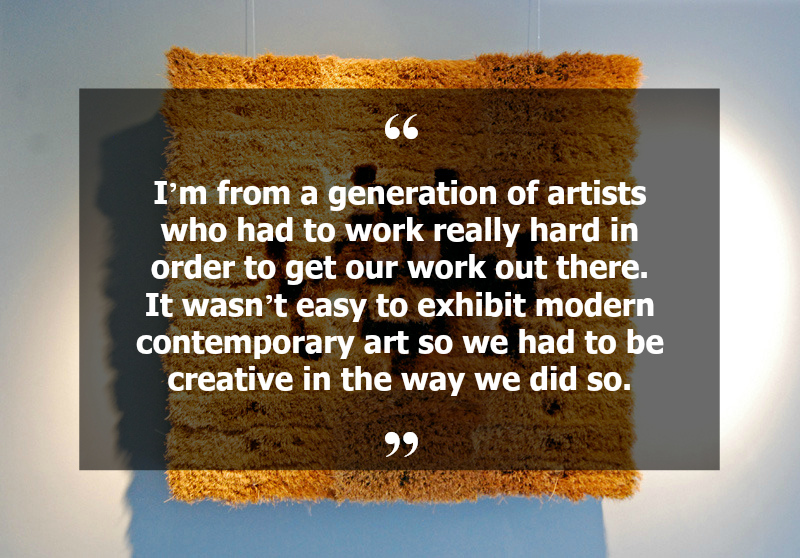 “One time we exhibited in a rundown old building in Valletta and created works in each room. It was quite an experience for the visitor to find this rundown apartment transformed into a creative hub with all the artists working on site." In an era where art and what it means is often intrinsically elitist – where only those with an understanding and appreciation of the way modern art works seem to get it – such installations are invaluable because they can get to those who wouldn’t normally take an interest to interact with a work of art. One of Portelli’s most recent pieces of work is an excellent example of that. Back in 2014, as part of the celebration of the 40th anniversary of Malta as a republic and part in a project titled rePUBBLIKA, he was commissioned to prepare an installation that was to spend three months in Pjazza Teatru Rjal near the entrance of Valletta. 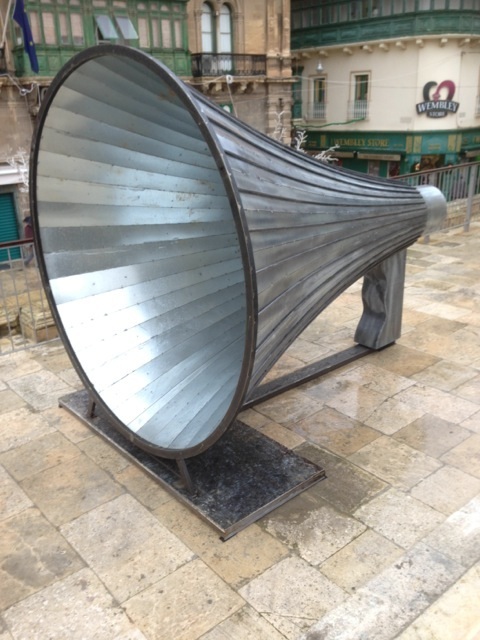 Portelli’s contribution to this programme was Vox Populi, a large steel megaphone that people could go up to and hear their voices amplified as they spoke into it. It was a brilliant example of populist art that attracted crowds of people among whom there were certainly those who wouldn’t normally consider themselves to be art enthusiasts. Regardless of whether or not people got this latter inflection, they certainly enjoyed the opportunity which perhaps shows that in order to make art more accessible to the wider public it should be taken to them rather than be kept in galleries. For Portelli, that project was also another opportunity to move between the world of the artist who dreams up ideas and the craftsmen who execute the projects. It was indeed quite a feat, not only because of the size and creativity that went into its conception but also for the artistry of its execution. Seeing that it pervades through everything that he does, it was not surprising to hear Pierre admit that going to the roots of a projects is essentially in his creative philosophy. 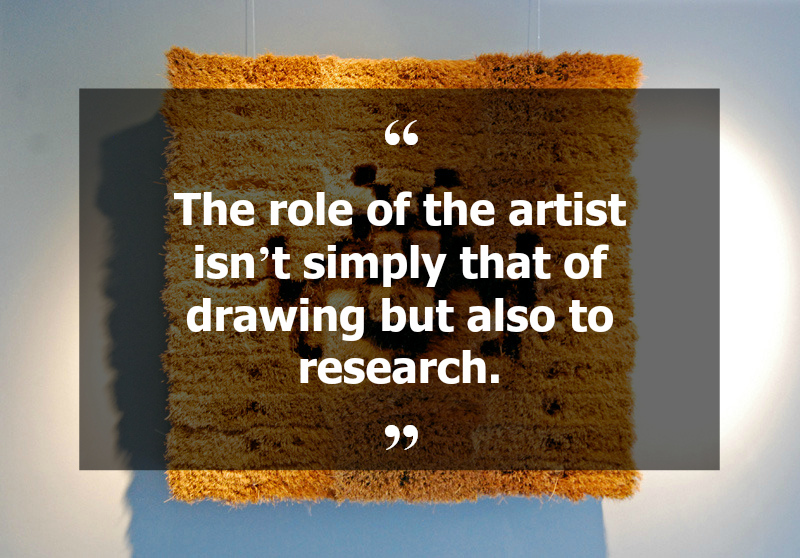 “The role of the artist isn’t simply that of drawing but also to research,” he says before turning to his latest contemporary art project to explain what he means. The more that Pierre talks about this project the more I come to understand its attraction. In a sense it was somewhat inevitable given his obvious passion for it. The thing is, however, that he doesn’t seem to be passionate only about this particular project; such passion is apparent in every aspect of his work. And when such passion is allied to a creative mind and a capacity for hard work, great work inevitably follows. 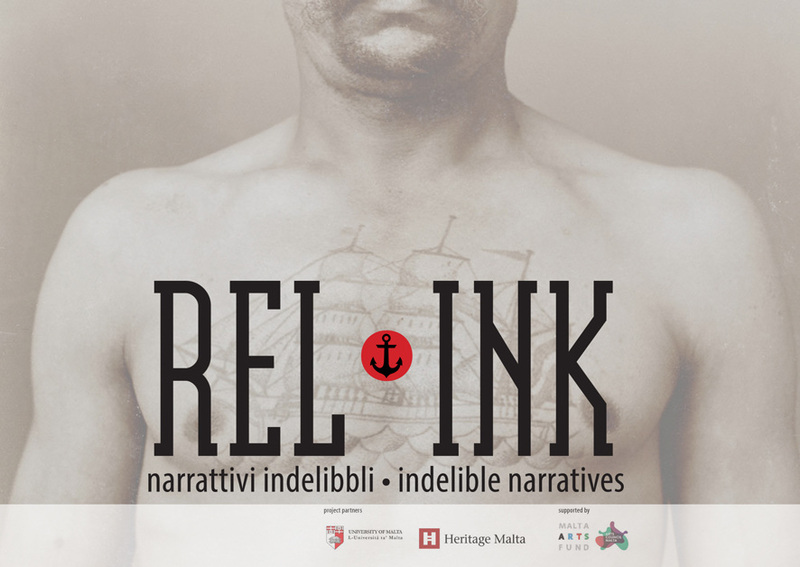 Pierre Portelli's current projet Rel•Ink is on show at the Malta Maritime Museum in Birgu till the 29th of December. More information can be found on pierreportelli.com or on the event's Facebook page. If you enjoyed this interview, follow Snapshots of Malta on Facebook and Instagram.